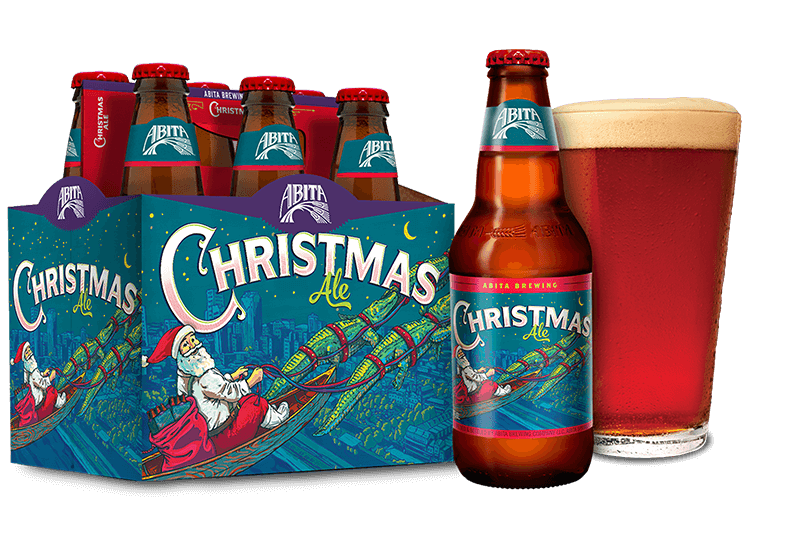 Our Christmas Ale is a brown ale that is brewed with six types of malted barley and fermented with American Ale yeast. It is brewed with pale malt as well as a combination of Caramel, Biscuit, Munich, and chocolate malts. It is hopped and dry-hopped with Columbus, Cascade, Centennial, and Amarillo and has a nice piney and citrus hop flavor and aroma. The result is a flavorful brown ale that is sweet and malty with a pleasant hop aroma.